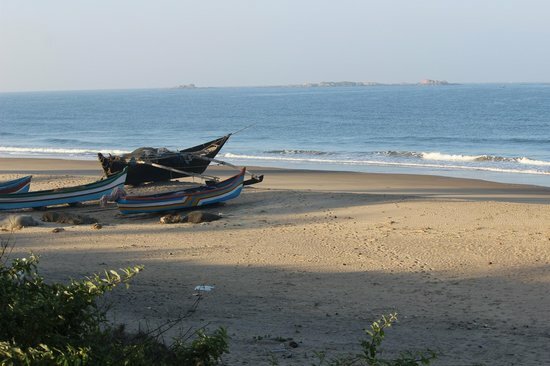 Tarkarli beach is an exciting place to be in as it holds immense tourism potential. Mahapurush Nyahari Niwas is located in Devbag south of the famous Tarkarli beach. The beaches in itself are the main attraction in Tarkarli however there is lots to see around Mahapurush Nyahari Niwas for a funfilled holiday in Tarkarli. A confluence of the Karli River flowing into the Arabian Sea. 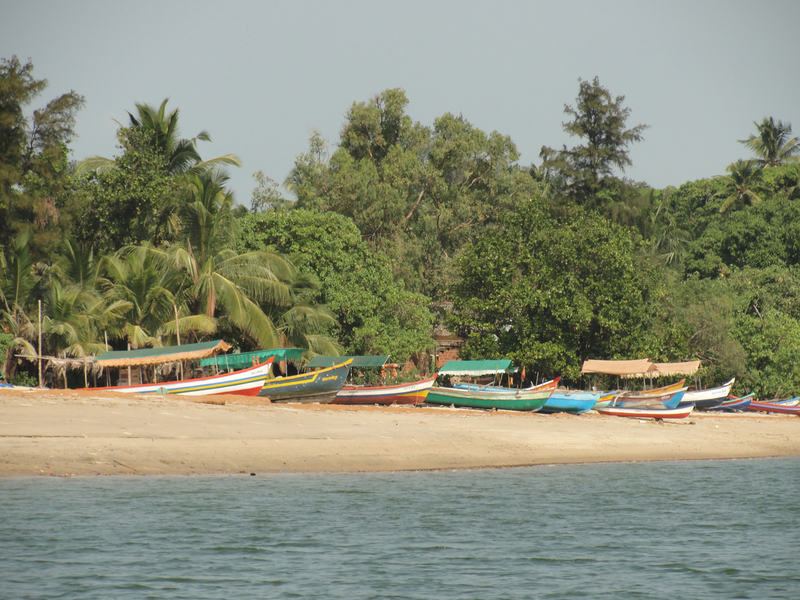 This point marks the southern most tip of the Malvan taluka. The beach lures to the tourists by its stunning white sand and beautiful blue water lagoon, thus an idealist spot for swimming , sunbathing and pick nicking. Flock of local sea birds add to the beauty of serene surroundings by playing with the sea waters. 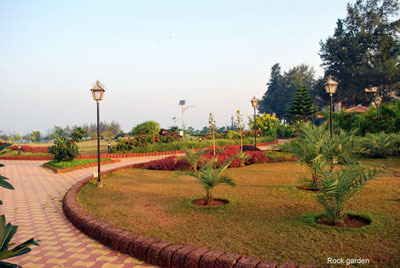 A hill in the back drop offers panoramic view of Arabian sea and light house situated on the rocky island. Sunset is the peak time to watch this natures expression. Mingles secretly with sea waters from behind Devbag’s famous Mobar Point.Local fishermen recently started water sports near confluence. They have water scooter, jet ski,bumper ride,banana/dolphin boat ride, Kayak boating sports. A Malvani man, Mr Jayant Salgaonkar built this huge & stunning temple in 2004 as sanctity. 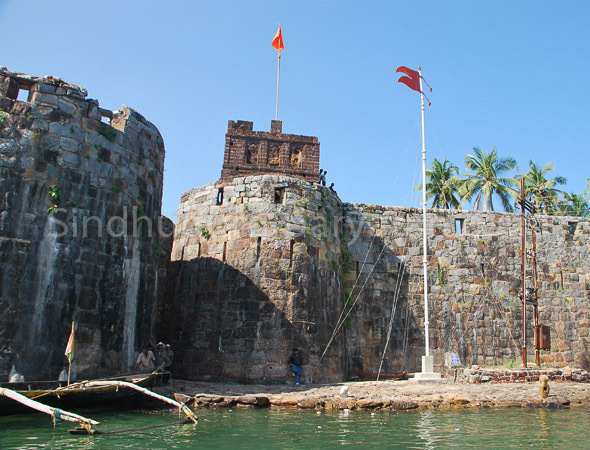 It sits amidst of Medha, a small ward of Malvan. 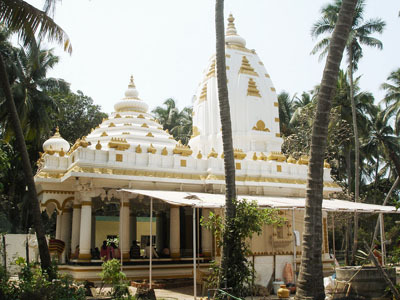 Now days, this temple is a great attraction for the Tourists. The sanctum internally a square & externally crowned with a graceful tower. A golden idol Ganesh is worshiped daily. A huge courtyard provides a serenity & invigorate the tourist. A carving sculptures on temple enchanting the viewer.